For a long time, bamboo was dismissed by some people as a trendy fad, but it is fast becoming one of the most exciting flooring products to enter the flooring industry. Bamboo is a durable, inexpensive, versatile and beautiful flooring option. Because of these positive attributes, the popularity of bamboo flooring has increased in recent years. 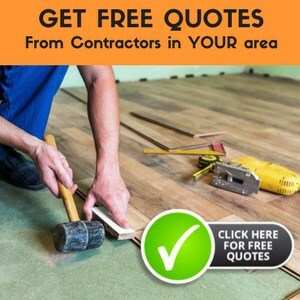 If you are considering investing in bamboo flooring, you will want to find out more. Below is a guide to everything you need to know about bamboo. Bamboo is a type of grass which is grown in Vietnam, Indonesia and China. Although bamboo can be grown all around the world, it thrives in these countries and can grow at a rate of three feet a day and is harvested every five years or so. The harvesting process does not kill the bamboo plant, which will begin it grow new stalks the moment the fully grown ones are removed. Mature bamboo is harder than American Red Oak and more resistant to moisture than standard hardwood. Once the bamboo had been cut and cut to a prescribed length and then split using knives. The splits within the bamboo are flattened out processed using a four-sided mill. The bamboo is then steamed so that it turns a rich brown colour. The bamboo is then dried in a kiln to remove any moisture it contains. The bamboo then has glue applied to it before being hot pressed into the shape of planks. These planks are then planed, and tongues and grooves are added, before being sanded and finished. Bamboo is available in different grains. These are strand woven, vertical grain and horizontal grain. Each of these different types of grains produces a unique look. Below is a guide to each type of grain. 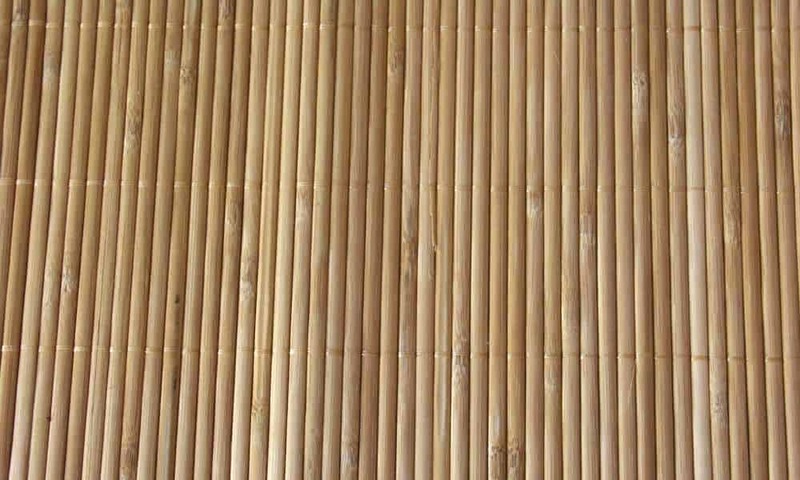 Horizontal grain: A horizontal grain is produced by stacking the splits of bamboo horizontally and then applying glue. Because you can see the knuckles of the bamboo, this finish recreates the natural appearance of bamboo stalks. Horizontal produces a medium strength flooring. Vertical grain: A vertical grain is produced by laying the splits vertically before glueing them together. This creates narrow strips in which the bamboo knuckles are hidden. Vertical grain is the softest type of bamboo flooring. Strand woven: A strand woven grain is created by glueing and compressing different scraps of bamboo. Because this product is made of a mix of different parts of the bamboo plant, it creates a random and unique finish. Strand woven creates the strongest type of bamboo flooring. When bamboo was first introduced as a flooring material, it was only available is a very limited number of colours and styles. However, in recent years, the number of styles and colours of bamboo available on the market has dramatically increased. Below is a guide to 4 popular types of bamboo flooring. Natural: Natural bamboo flooring is very light in colour as it has not been modified. Natural bamboo is the ideal choice if you want to create a natural looking floor which will match with any interior designs or colour schemes. Carbonised: Carbonised bamboo is normally a rich brown colour. This colouring is created by the heat applied to the bamboo by boiling or steaming it. The colour can vary slightly between each piece of flooring because of the different chemical makeup of each individual bamboo stick. You should be aware that the process of carbonisation can slightly reduce the strength of the bamboo. Hand-scraped: Hand-scraped bamboo is the most unique form of bamboo flooring. Each piece of bamboo is scraped with a special tool which creates a distinctive and rustic look. Because of the increased labour required to produce this type of bamboo flooring, it typically is the most expensive option. Some manufacturers try to keep the price of their scraped bamboo down by using machines to carry out the work. However, while this may be cheaper, the end product tends to have a uniform appearance and none of the charm of hand-scrapped bamboo flooring. Stained: Stained bamboo flooring has a coat of stain applied to after it has been manufactured. First, the bamboo will be washed and sanded down to create the ideal surface of the stain to soak into. The stain is then applied to the bamboo and left to dry. The stained bamboo will then be sealed to protect the staining from the effects of moisture. The look of stained bamboo tends to be more uniform when compared to the carbonised option. However, staining allows you to choose from a wide range of different colours. Bamboo can be installed in a number of different ways. A bamboo plank will typically be between 3 feet by 6 feet in length and around 3 inches wide. Because bamboo is a grass, it is much more resistant to moisture, so unlike hardwood flooring, solid bamboo can be attached to a concrete floor surface using glue. Solid bamboo flooring panels can also be nailed directly onto a plywood subfloor. Long strip bamboo flooring is specially engineered so that it fits together easily. When installing long strip bamboo, you can simply click the strips of bamboo together once they are in place in the same way you would install a laminate floor. Long strip bamboo flooring can either be placed directly on to a concrete floor, or it can be floated. Long strip bamboo boards are typically around 7 inches wide and six feet long. Now that you have found out a little more about bamboo flooring, you should keep your eyes open for the different colours and styles which are available. Bamboo flooring can now be found in hotels, restaurants and modern homes. If you would like to find out more about the many benefits bamboo flooring could bring to your property, you should contact a flooring specialist today.